Marriage in general is tough. Throw in deployments, solo parenting, reintegration and you will quickly learn just how challenging military marriage can be. My husband and I have both learned this throughout 11 years of military marriage. Learning to put your marriage first isn’t a difficult task, but one that comes with a lot of lessons, and some harder than others. But don’t expect a strong marriage to happen overnight--it takes work, patience, and a lot of understanding on both parts. You don’t go into marriage alone. The day you take your vows, you promised to love, honor and protect one another. Most importantly, you vow to protect your marriage. So why treat it differently while apart? One of the hardest things for me during a separation has always been feeling like I was in this alone. I would place the blame on the military, his job, and the fact that it took him away from me. No matter what, you both have very important roles to play, and realizing that separation does not change those roles shouldn’t be forgotten. You must remind yourself that even though you may be thousands of miles away, it is both your responsibility to step up and take action. Any issues you may be having should be handled by both. Step up and work on it; no one should ever be left alone to just deal with it. This probably will sound like a broken record, but communication is the key to any marriage. Especially in a military marriage, because of the obstacles and additional stress this life brings. Men and women have different ways of communicating, and that’s okay. If you prefer to write it down in an email, Skype, text--it doesn’t matter how. Just as long as you remember that all forms of communication are important to your marriage during a separation. My husband was a texter, and I was a on the phone kind of gal – it doesn’t matter how, just communicate! When you’re a military spouse, sometimes it can be hard to see the light at the end of the tunnel. 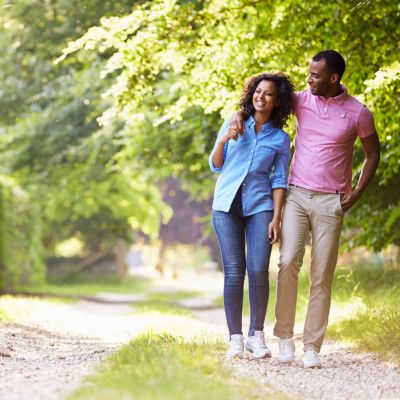 Separation is a big part of this lifestyle, so take advantage of the moments you do have with your spouse. Instead of looking at it as how many days until they leave, look at it as the time you have available to spend together. Take advantage of it and savor the moments together. Create memories, and remember to save the small arguments for another time--have a good attitude and spirit! Patience is a virtue, and possibly one of the most important ones in marriage! There will be good days and very stressful days for you and your spouse, and because of the twists and turns that this roller coaster life brings, patience will be the key to getting through each day. Understand each other, and if you’re having a bad day, give each other some space and talk about what may be bothering you. By Angela Caban. Content courtesy of USAA. Used with permission.